Jackie Houghton Thornton has a birthday today. Jackie Houghton Thornton added a photo to her profile gallery. 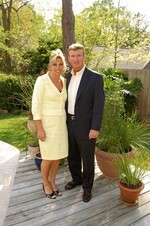 Jackie Houghton Thornton updated her profile. View. Jackie Houghton Thornton changed her profile picture. My oldest son Brandon 22 yrs.